It was Sunday, October 30 when I had a crazy idea. One day before Halloween â€¦ What should I have expected? â€¦ : – ) So that day I was having breakfast when I tried to figure out what my boyfriend and I could do in the afternoon as the weather was actually nice and there was no reason to just stay at home. So I came up with the idea of going to Wiener Eislaufverein to enjoy some nice moments on a wonderful, slippery surface. It did sound romantic and exciting indeed , but doesnâ€™t sound too much of that right now, though. 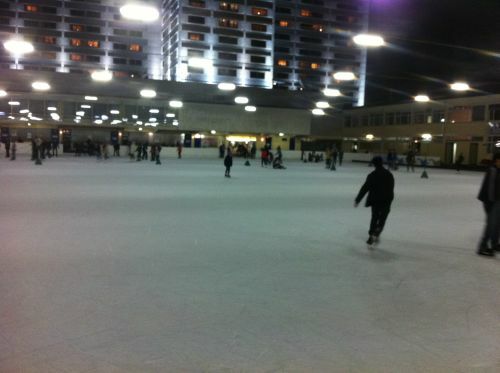 So when we got there, I got a little nervous as I figured that I didnâ€™t skate since about 10 years or so. And yes, it also felt that way when I stepped on the ice. Still shaky and out of balance I tried to make my first rounds only to find out that skating is all about balance. Of course. : – ) But after a while, I exactly got to that point and managed to make cool moves. My muscles remembered the movements I so often made as a child and I was rocking the ice like a ballerina on skates. Really nice experience, I must admit. This entry was posted in Mein Deutschkurs on 31. October 2011 by Silvia. Worried with all the holiday, all the luggage, vacations, etc. etc. I forgot to tell you about the day of the Opening Doors from the Opera, here in Vienna. When was that? In the beginning of September, I think. Ah, yes, yes! The beginning of September, for sure. 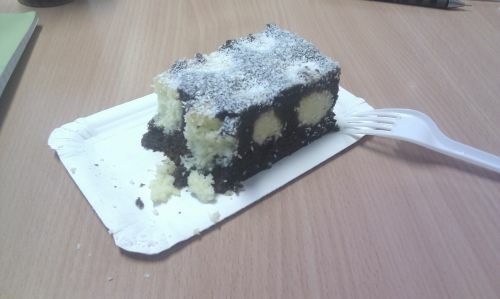 Leben, trinken, essen,… A cake?! This entry was posted in Mein Deutschkurs on 30. October 2011 by Silvia. Oh boy, last Thursday evening was an awesome one indeed. 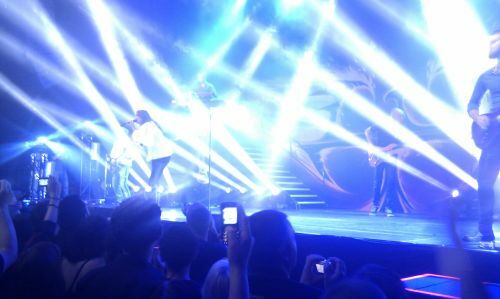 Within Temptation were in Vienna and gave a concert in Gasometer. Actually I didnâ€™t plan to go there at all but a friend of mine convinced me that this is going to be a great show. So we went. In fact, I apparently couldnâ€™t withstand the temptation but it turned out to be an awesome concert. Only some two hundred people were there in a kind of small setting, but it was definitly worth it. It took about two hours and they were in such great shape that you can fell the vibrations up to the bones. Yeah, some of the songs I even knew 😛 and could join them as loud as I could, of course! The stage setting was very cool as well, they made a lot of room for the group to actually move on stage which made it even more fantastic as their energy spread over all of us. Coming home that night with full of adrenalin and excitement was something special too. Took a while to get back to my normal hearing skills though. Lätzte Woche war ich in einem Konzert hier in Wien. Ich bien sicher, dass ihr sehr neugerig seid: wer ist das Band? Wer ist das Band? WITHIN TEMPTATION!! Yeeey!!! Endlich waren sie in Wien! 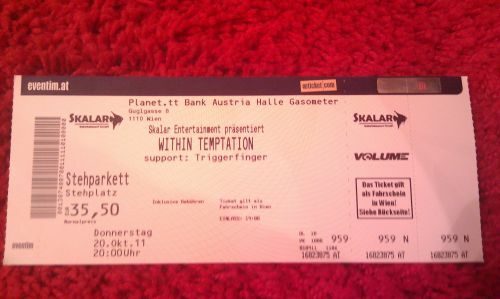 Am 20 Oktober 2011, 20:00 haben Within Temptation in Gasometer gesungen. Zusammen mit ihrem Entry Band: ein Band aus Belgien, ich habe den Name vergessen :-S, haben Within Temptation einen super Konzert gehabt! Fantastische Lieder, wunderbare Leuchte, nicht so viele Personen in der Audienz, exzellent Sound System, etc. etc. etc. Ich habe so so so viele Fotos gemacht, aber ich uploade here nur eine. Ich will mehr über diesen Konzert schreiben. This entry was posted in Mein Deutschkurs on 29. October 2011 by Silvia. As you can probably realize, the summer is not here anymore. You did realize that the temperatures are not having 2 digits anymore, right? : – ) You did realize that we need scarves, gloves, hats and colder jackets… Such a pitty!.. I know! However, I found myself asking my friends: „But, hey, did we have autumn this year or are we directly in winter time?â€ Why am I saying this? Well,.. you know! Itâ€™s cold, soon we will reach below 0 C, very cold wind, etc. Not to mention that I did not get to wear my classical autumn clothes. What do I mean? You know… The „a bit colderâ€ jacket, the „not to get wetâ€ boots,… Nothing! Directly the „against coldâ€ boots. 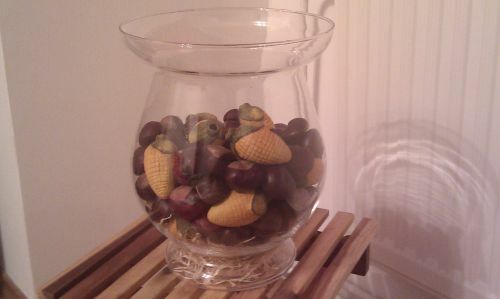 I made myself a reminder of the autumn. You can see it in the picture. Hope you like it! This entry was posted in Mein Deutschkurs on 18. October 2011 by Silvia. Even if we do not have the high temperatures of the summer, I must tell you something about that period. 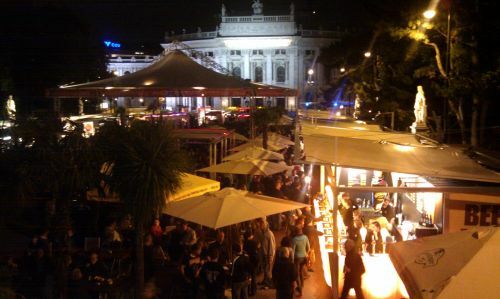 You live in Vienna, you are in the city during the summer, what can you do? Many, many things, I know! Vienna is a very rich and boiling city. However, what I mean in this post happened in front of the Rathaus, there in Rathausplatz. Together with the Film Festival, there is also a Gastronomical Festival. Itâ€™s like a celebration of the tastes. From Taiwan to Turkey, from China to Spain, we have soooooo many choices to enjoy with. Most of the times, everything is fantasticly delicious! Itâ€™s so hard to choose!… In the end, you just have to try them all. You come to see a film at the Film Festival, you buy a dish to eat, as well and you are happy! Watching a good film and enjoying a good food. This entry was posted in Mein Deutschkurs on 16. October 2011 by Silvia. Den ersten Kurstag in meiner Sprachschule in Wien habe ich leider verpasst, 🙁 da ich mich an der Uni inskribieren musste. 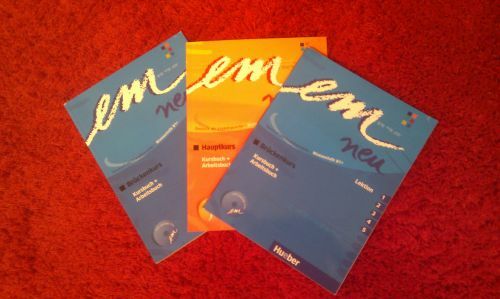 Am zweiten Tag, habe ich aber alles nachgeholt und meine Klassenkameraden kennengelernt! Sie kommen aus verschiedener Teile der Welt, aus Ungrarn, Polen, Israel, Bulgarien, dem Iran, den USA, Serbien usw. Meine Kollegen sind zwischen 19 und 35 Jahre alt. Hier kann man verschiedene Meinungen hören und deswegen ist der Kurs sehr interessant. This entry was posted in Allgemein on 12. 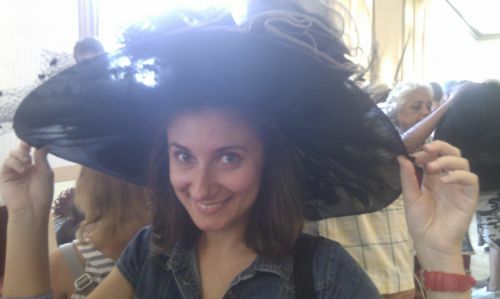 October 2011 by Marija. Since I came back to Deutsch Akademie for a new level, I must come back to my favourite topics to debate, right? No, we do not talk about Schönbrunn now. : – ) Maybe I wrote about this topic before as well, but I do have to come back to it, as said before. What did I find on my coming back? Same old Akademie? Hmmm… Letâ€™s make a little analysis. Letâ€™s start! + most of the teachers are fantastic! + the location of the km 0 of the city and … how can you not love that?! – The equipment is not enough; how about beamers, for example? Or air conditioning in all the classes? This entry was posted in Mein Deutschkurs on 3. October 2011 by Silvia.